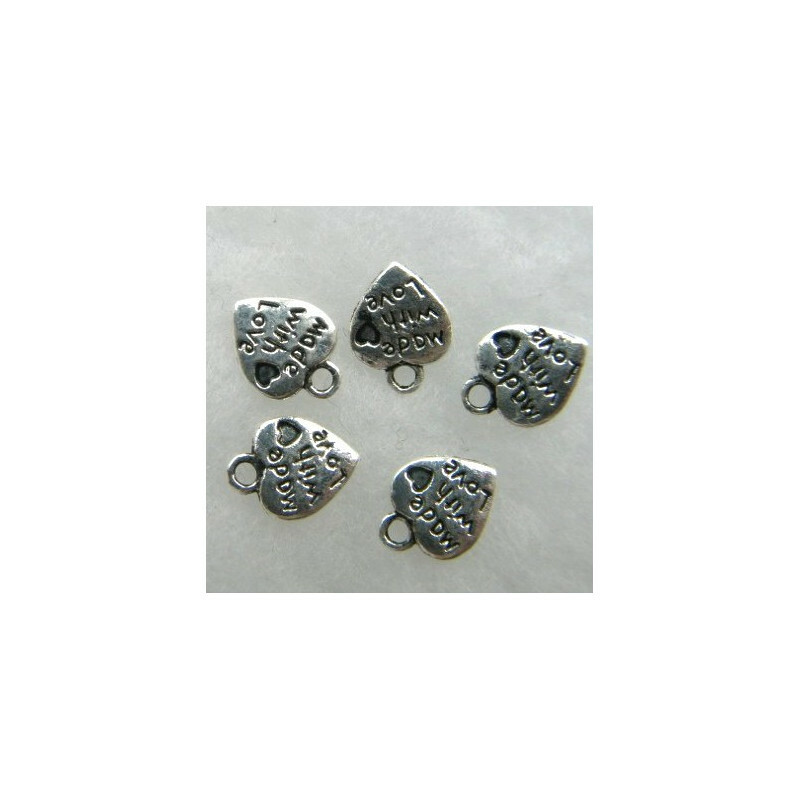 > Findings>Charms>Antique silver colour heart charms made with love. 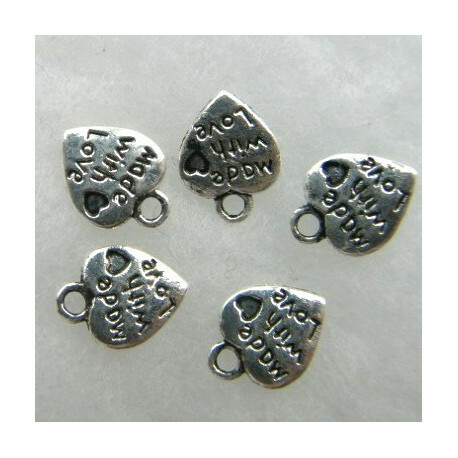 Antique silver colour heart charms made with love. Antique Silver Colour Heart Charms "Made with love", Pack of 10.